Yield Management for Your Campground: If You Raise Rates, Will They Come? Hotels and resorts have been using yield management, also known as dynamic pricing, for years — and successfully too, so why not use it for your campground? Airlines. Airlines were the first to utilize the system of yield management by selling a certain number of seats for a specific date at a discounted price. If they price the flight to high initially, too many seats and the flight may be half empty, but people will be willing to pay more as the date approaches. Yield management keeps their planes full, thus driving their revenues. Hotels. Hotels are known for offering dynamic pricing dependent upon the time of year, the day of the week or an event taking place. If you plan to visit New Orleans during Jazz Fest or Mardi Gras, you are going to pay top dollar for a hotel stay. If you are going to Myrtle Beach in the summer, expect to pay considerably more for your room than you would in January. Cruise Lines. Like hotels, cruise lines know that ticket prices that fluctuate depending on the time of year create more revenue. If you take that Caribbean cruise during Christmas break, it may cost as much as 3 times as much for the same cruise you can take in August. (I know from experience!) Typically dates around holidays are popular, but even a weekend cruise may cost more than one during the week, when it is less busy. Cruise lines have been using yield management for years, and if you watch prices, you will see they steadily climb as the ship gets fuller and fuller. It pays to book early. Car Rental Agencies. Weekends, holidays and specific dates may cost the renter more than if they were to rent a car through the week on the off season. These are just a few examples of yield management being used in a variety of industries. It is also used at golf courses, railroads, restaurants, telecommunications and more. Any type of business can apply yield management if they have a limited number of items to sell, such as rooms in a hotel, time constraints on the item, such as an event that only lasts a few days, and a variety of customers who will pay a different amount for the same thing. For a campground, their campsite nights are finite – once a date is passed, it is too late to sell that night. It is lost forever. As demand soars for those particular nights, campgrounds need to capitalize on it and maximize the revenue they can earn from those sites. The record sales of RVs is beginning to stress the market by causing more campgrounds to be filled to capacity especially on popular days. As the supply of campsites gets less and less, the rates should increase to reflect the true value of that campsite in the marketplace. ResNexus, a cloud-based reservation software, reports that effective yield management can increase your campground site revenue by 11%. When you carry that revenue down to the bottom of your profit and loss statement, some business owners have doubled their profits. 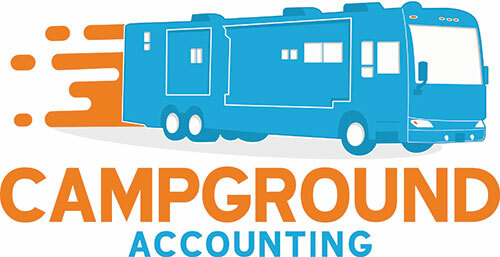 Using yield management in your campground can add a considerable amount to your bottom line. Virtually every business adjusts the pricing of their products and services based on the laws of supply and demand. Why shouldn’t your campground? Let’s say that you have 100 sites at your campground, and during the fall season when the leaves are changing and the days are cooler, there is a vast increase in people wanting to camp at your RV park. You will often have demand that is much greater than the capacity at your park. Because of the increased demand during those times, the market is willing to pay a higher price for those campsites than other times of the year. In the winter when there are fewer campers, you may want to charge less or offer some other incentive in order to utilize your vacant spots and still make an income. In short, you should be letting the market determine your price, instead of resorting to some arbitrary number based on what you have done in the past or what your competition is going. 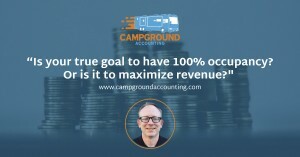 What Are Some Concerns about Yield Management in Campgrounds, and Are They Valid? One of the big concerns I hear from campground owners who fear using yield management is that customers will talk and they will ultimately be upset. While this could theoretically happen on rare occasion, this fear isn’t necessarily based on reality. Your customers do not talk about the price of their campsite nearly as much as you think. And if they do, that is a bonus for you. Over time, it will train guests to book early in order to get the best rates. When you get your guests to book earlier, you are doing three important things. First, you are driving demand by locking them into staying at your campground. The more time that passes, the more likely they are to see another destination or park that they want to try. Lock them in early. Second, it drives your prices to market sooner. 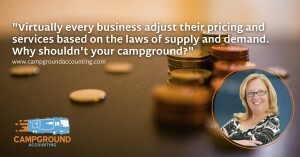 If you understand the demand for your inventory of campsites at an earlier date, your yield management system can adjust prices to market much sooner, thus driving higher revenue. And third, depending upon your payment requirements, you get paid sooner. While campground owners fret over whether their prices are too high, I invite them to pull up their online reviews. What are your complaints? My guess is that virtually all of the complaints a guest may have about your park are related to to the experience that they had: for instance, cleanliness, staff friendliness, or some maintenance issue in the park. My bet is that virtually none of those complaints are focused on how high the prices were. Even if you do lose the occasional customer because of price, it should not make a huge difference in your bottom line if you have implemented a yield management system properly. For example, if one customer complains about the rates and goes elsewhere, you are recouping that loss with the extra you are making with customers paying more for that specific date. In many cases, while you may have that one guest go elsewhere, you will simply replace him (or her) with a higher paying guest. In that case, are you really losing anything? Another big concern for campground owners is keeping up with all of the variable pricing. While properly implementing yield management may not be as straightforward as setting one price for all sites, recent developments in cloud-based reservation systems have made it possible to automate the process and alleviate some of the headache of using this type of price point. If you are looking at any online booking system, I would caution you against investing in any that do not offer a solid yield management solution (even if you aren’t ready to implement it yet). You can also limit the number of yield management price points by choosing specific dates such as holidays or just a couple of categories of site prices. Start slow. Smaller price increases are better at not shocking your guests as opposed to just adding in an extra fee or hiking up the price. Test your rates and raise them accordingly while watching for volume slowdown. Use online reservations. Online reservations are a must. It frees up time for your staff. You don’t lose those guests who want to book when you are not available (and there are likely a bunch of them). It makes it easier to fend off negotiation attempts, compared to a real person talking to the customer. You can more easily adjust your rates, and the customer only sees the price you have set, regardless of what it was in the past. Rates are determined based on the supply and demand at the time the customer makes the reservation, not months before. Use multiple yield points. Look at occupancy ratios and adjust from there — slowly. For instance, +5 percent at 50 percent occupancy, +10 percent at 60 percent occupancy, +15 percent at 70% occupancy and so on. 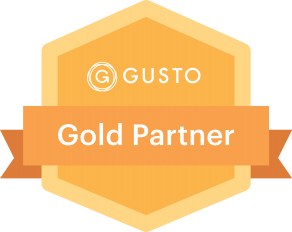 Yield management is an excellent way of increasing your revenues and taking advantage of certain times of the year or even individual campsites that are more popular. The customers who want those dates or sites will still book, and you will see an increase in revenues and profits.